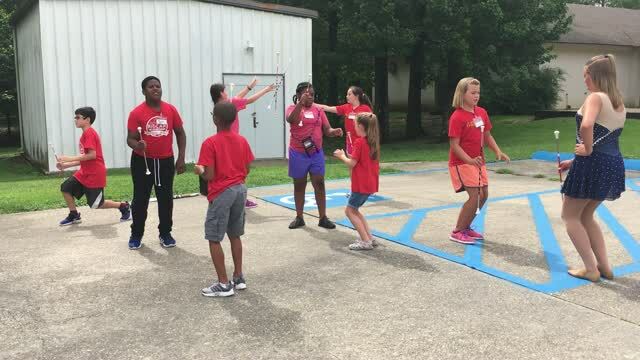 Louisiana Twirl Force offers lots of different types of classes. We have a class that will be just right for you! 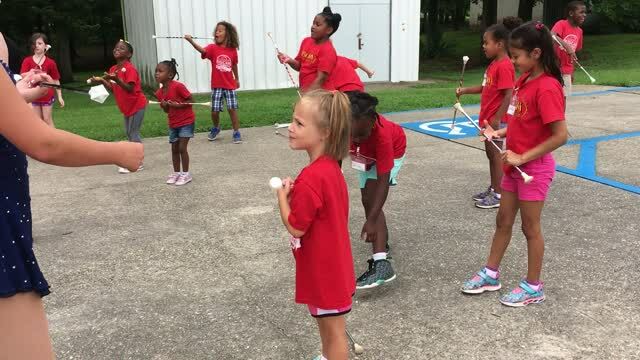 Level A twirl is designed for new students, any age, that has had no prior classes in baton twirling. Our beginner level class instruction is focused on the fundamentals of twirling mixed with a little dance and a whole lot of fun. Level one students march in local parades, community events, as well as the end of the year recital. Lessons are once a week for an hour and the fee is $38.00 a month. Each student must purchase or have a baton. Beginner batons are $20.00 a piece. Level two twirl class is designed for students who have at least one year of instruction and have mastered level one skills. 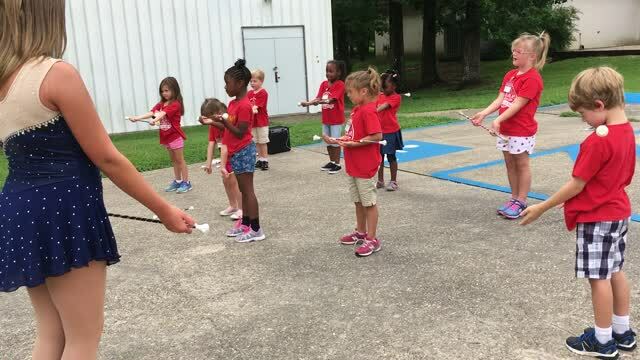 Level two class instruction is focused on basics of baton twirling along with some basic dance steps and marching skills. 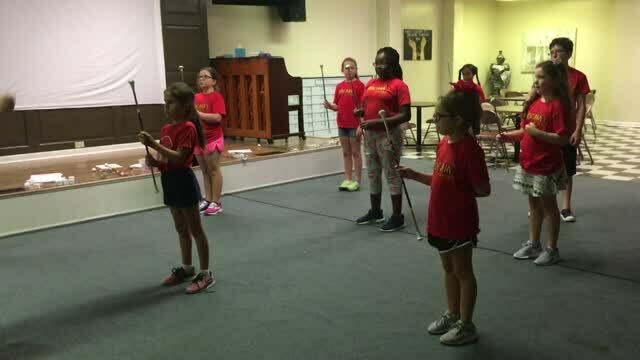 These classes are introduced to twirling equipment such as swing flags, streamers, and two batons. These students also march in local parades, community events, as well as the end of the year recital. Lessons are once a week for an hour and the fee is $38.00 a month. Each student must have TWO BATONS! Level two batons are $25.00 a piece. 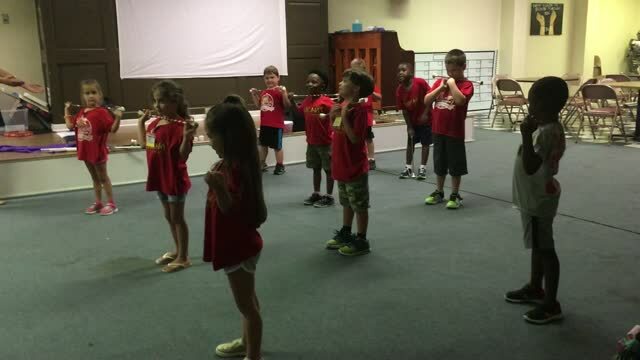 Level C classes are designed for students who have had at least two years of experience.They must be on level B skills. .
Level C classes are focused on putting basic twirling skills together in sequences incorporating dance and body movement. One spins are one of the required moves for this class. Intermediate twirling and dance skills are taught along with juggling, equipment work, leaps, jumps, and lots of fun! These students have class once a week for 1.5 hours. The class fees are $50.00 a month and each student must have at least TWO STAR BATONS! Level three batons are $35.00 a piece. These students are eligible to audition for competition teams and participate in solo events as well as serve as twirling assistants. Level D & E classes are designed for competition students only. All students must have a solid one spin and working on their two spins. They also must have two elbows solid and working on three elbows to be in this level of class. The students must be working on Level C skills. In level D& E classes, students are taught intermediate and advanced level skills for one, two and beginner level three baton skills. They also utilize other types of twirling equipment. These dedicated students meet once a week for 2 hours. Level D & E students must take at least two private lessons a month and participate in at least one open gym practice. These classes are only open to competition students. 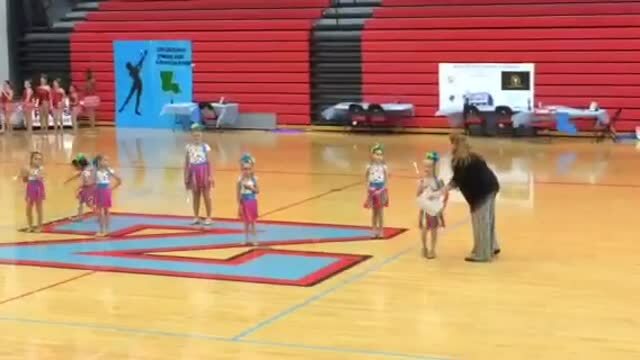 Level D & E students must also learn and perform a solo and xstrut at twirling competitions. Other twirling events are optional.The class fees are $50.00 a month. All level D & E students must have at LEAST THREE STAR BATONS! Level D & E students may be twirling assistants.